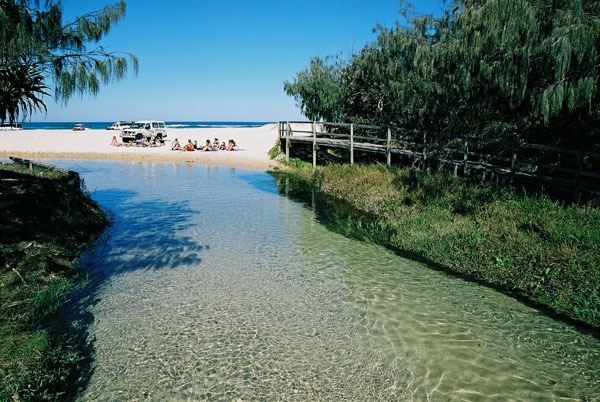 Explore the World Heritage wilderness of Fraser Island with an experienced friendly eco guide and driver on this 3 day 4WD Eco tour. Walk through towering rainforest growing in sand. Discover huge sandblows moving across the island. Swim in beautiful fresh water lakes, wade in fast flowing creeks, drive along the world's most beautiful beach highway and marvel at coloured sand formations. All this while staying at Award Winning Kingfisher Bay Eco Resort. 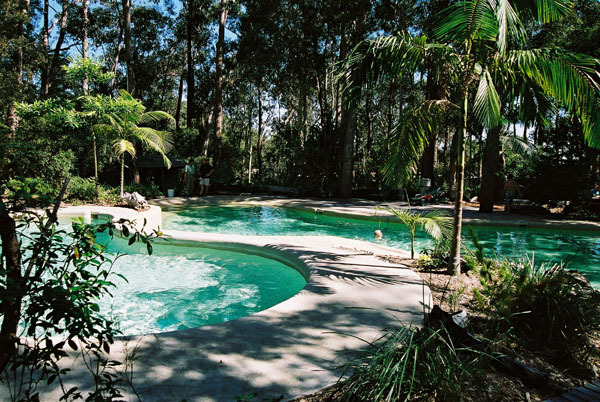 Nested on Fraser's west coastline, the resort blends with the environment and provides comfort and security, and a base to explore the Fraser Island Wilderness. Early morning and evening are better for wildlife sightings. Your guide will meet and greet you 4WD check areas in Brisbane and the Sunshine Coast. 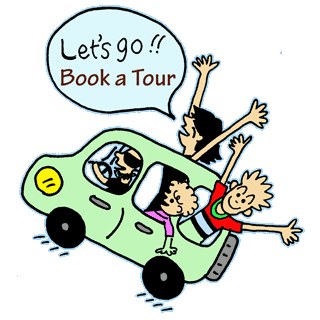 This guide and driver will stay with you for the 3 Day tour. 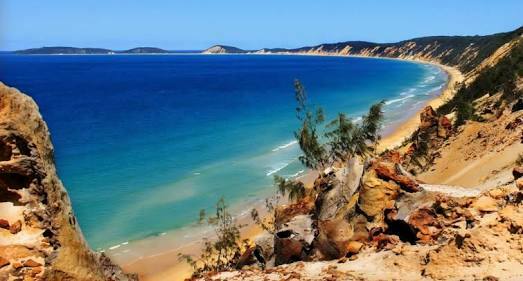 Depart Brisbane traveling north via Noosa, Noosa River ferry to Cooloola National Park and Rainbow Beach Coloured Sands. Early picnic lunch stop at Rainbow Beach. Take time to relax, visit the local beach to swim overlooking coloured sands or wander through the local shops. By 4WD travel to Inskip Point and view Fraser Island in the distance. Your guide has arranged all the ferry permits and national park fees before you arrive. (saves time). 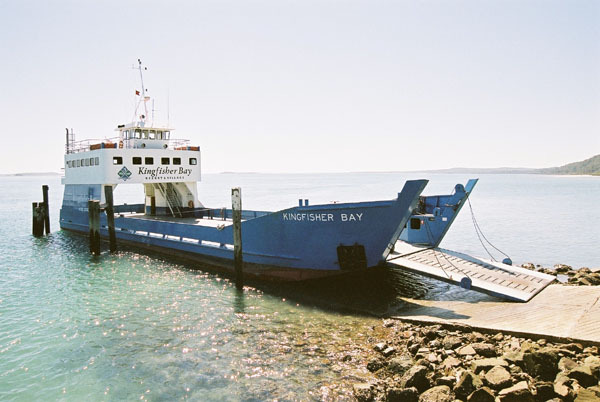 You board the 4WD Boat Ferry and cruise to Fraser Island's southern tip, whilst keeping a look out for dolphins, turtles, with Hervey Bay in the distance. With your local friendly tour guide and small group travel along Hook Point onto the famous 75 Mile Surf Beach. The 4WD with cross freshwater creeks as you guide gives detailed stories both old and new. We arrive at the 4WD track into the rainforest. 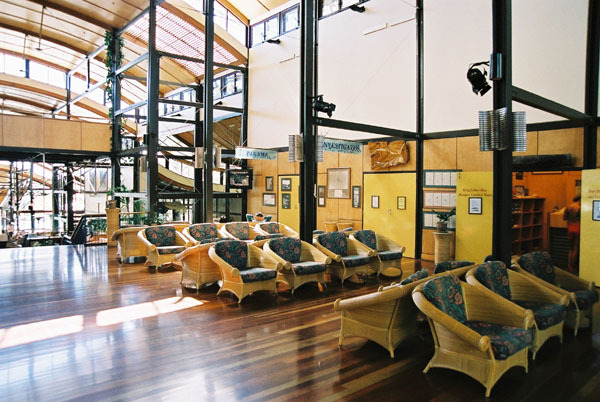 Look out the windows and enjoy the sounds and sights of the forest, before arriving Central Station Rainforest. 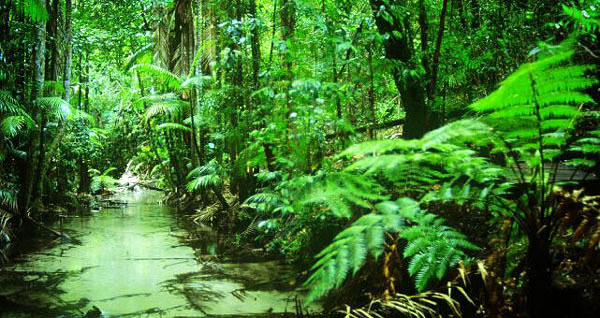 Walk the World Heritage rainforest boardwalk. 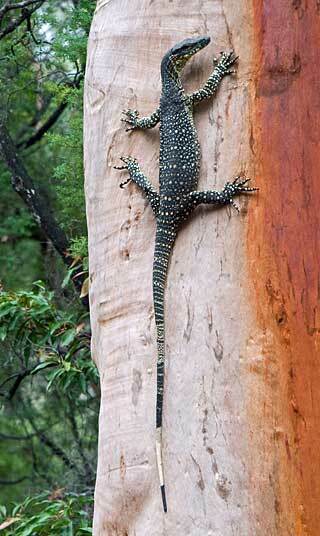 Take the Pile Valley rainforest walk beside beautiful Wanggoolba Creek, and onwards into the old Satinay Forest. 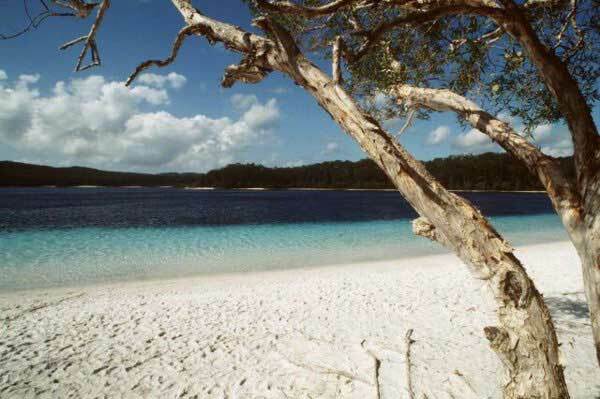 Then move on to swim in the clear blue waters of Lake McKenzie and soak up the sun on the white sandy beaches. O what a lake and clear water. National Park change rooms and facilities provided. This tour allows you to enjoy the afternoon sun at this wonderful lake, time take to enjoy, walk, hike and relax. 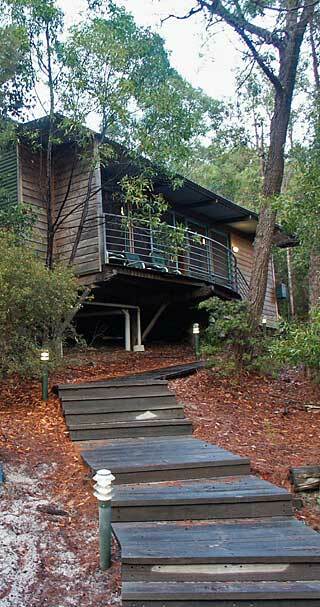 Arrive at Kingfisher Bay's award winning Eco-Resort. Settle into Generous sized hotel rooms with private balconies overlooking the natural surrounds. These comfortable rooms are air conditioned with private en suite and accommodation up to 3 people. They include Colour TV, bath/shower, Phones, Tea/Coffee facilities, Hair Dryer. After a relaxed and easy resort tour, join the group at the jetty, watch the sunset over Great Sandy Strait and Hervey Bay, before dinner at one of the resorts' famous restaurants, bakery or Sand Bar (own costs). After dinner, try the heated pools and spas, or dance/karaoke nights at the Dingo Bar, or quiet music and piano relaxing in comfort. Kingfisher Bay Resort has food delights to suit everyone. The Seabelle Restaurant - Taste local bush tucker in a world renowned a la carte restaurant. The Maheno Restaurant - Serving a huge range of local produce in a relaxed poolside area with different themed buffets nightly. Sand Bar and Beach side/Jetty family Restaurant - This bistro style dinning in a comfortable setting overlooking the Great Sandy Strait and Hervey Bay. After stopping for lunch (own cost), travel further north along the 75 mile surf beach to Indian Head. 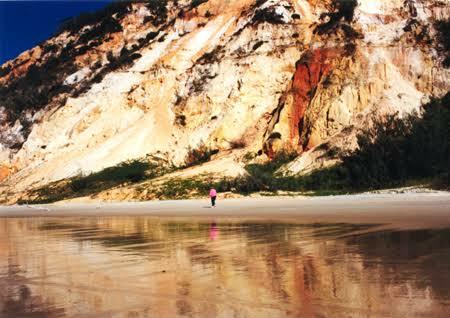 Walk this rugged lookout - spot turtles, sharks, dolphins and humpback whales (June -Nov). Later relax or cool down with a swim in the Champagne Pools. Return via the beach to Kingfisher Bay Resort and Village. 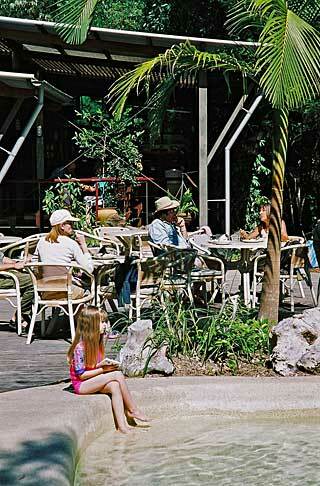 Relax by the swimming pools, spa and outdoor bars or watch the sunset from the Kingfisher Jetty. Explore and discover the splendour of the garden decks, boardwalks, coffee and specialty shops in this multi award winning Eco-Resort. Adventurous? Perhaps keep to the nature theme of Kingfisher Bay by exploring the great bushwalks, or activities including ranger-guided spotlighting and bird watching. After a hot buffet breakfast (included), travel with your experienced guide via inland tracks, past tall palms and rainforest plants before arriving at the beach entrance to famous Lake Wabby. This green lake, the deepest on the island, is slowly filling with sand. Enjoy a swim and explore this unique sand blow. 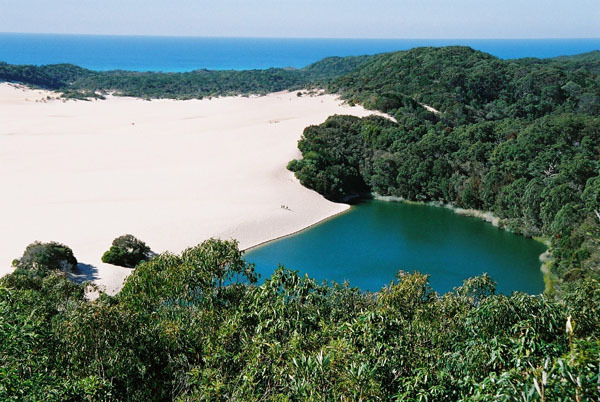 Explore, swim, hike and relax at this impressive emerald-green barage lake, being slowly engulfed by Hammerstone Sandblow. 4WD to Eurong Beach Resort and onto Govi Creek for photos before departing the island via Rainbow Beach, or if tidal conditions require, via Hervey Bay to Brisbane Transit Centre (6-7pm).